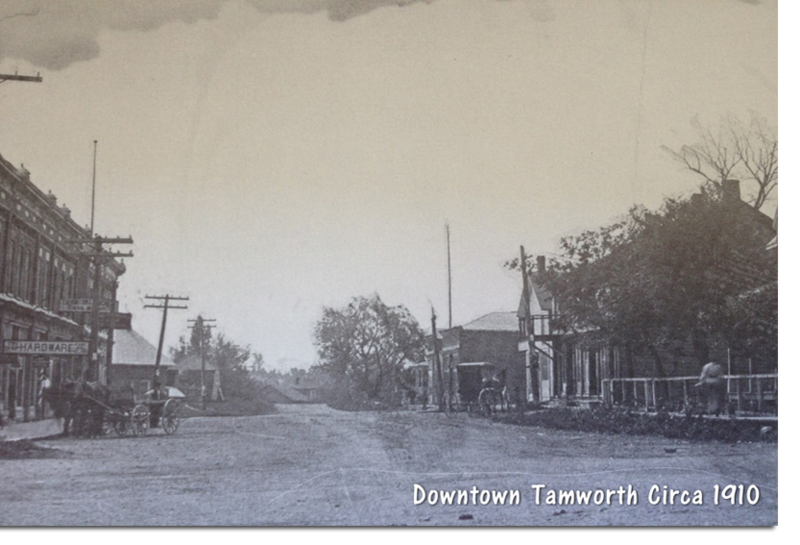 Originally settled in 1826, Tamworth received its name in 1848 the year of the great potato famine in Ireland. The area was settled by many Irish immigrants and by 1865 the population of the area was 500. In 1884 the Tamworth and Quebec Railway had three trains departing to Napanee each day. Once the forest cover had been removed the soil that remained was not of the best quality, but farmers persevered and the area included many cheese factories. Farmers could supplement their incomes cutting trees in winter to be floated down the Napanee River to mills to the south. 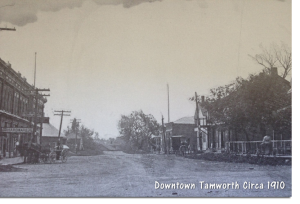 Featured in Michael Ondaatje’s “In the Skin of Lion” Tamworth is a charming village steeped in the history of the hard work of the generations who laboured to create a life here. Tamworth today is a mix of farms, homes and cottages on Beaver Lake and includes all the services of city with the charm of a village. Churches, a bank, hockey arena, a video store, restaurants, a hardware store, grocery store, pharmacy, liquor store, library and many other amenities, make for a great place to raise a family. Beaver Lake flows into the Salmon River which runs through Tamworth and this flowing water was the source of much of the commerce in the mills that form part of Tamworth’s past. Tamworth is a great place to live, visit, or just spend some time exploring. Please come and find out just how much we have to offer.